I have been riding my 2009 XO 1 for about 1000 miles every spring-fall for the last 9 years. I ride this bike on the many, great, train trails in NE. Bike is light weight and rides well even on extensive trails. Cyclocross make for a great touring bike and can hold some weight in panniers due to their sturdier, larger frame. I love this bike. The drive train is not as larger as a typical road bike.... although, you shouldn't notice a power difference unless going down steeper declines. Calipers breaks come standard on cyclocross, many people prefer cantilever for group riding.... I honestly don't notice though. Although road may be considered slightly faster.... you're not going to have a noticeable difference with this nice of a bike. The many years of riding centuries and forest preserve trails took their toll on my 1996 Cannondale R500 7-speed RSX componentry to the point where I could no longer acquire 7-speed parts (namely a bottom bracket). I purchased the X01 in April of 2011due to the wide range of gearing that the new SRAM Apex Group provided in a double and the increased seasonal capability that a cyclocross format could provide (38Cs in the fall/winter months and 28Cs in the spring/summer months. However, a little over a year later, I find myself wondering what marketing genius at Trek spec'd this bike. The Bontrager SSR wheels have been a COMPLETE disappointment. Specifically, the rear wheel has been serviced five times for spoke-related failures (my 16 year-old Mavic CXP-10s never gave me any grief). In fact, I will be taking the rear wheel back to my local bike shop on Monday to have them figure out why so many of the spokes have loosened-up yet again. The SRAM Apex drive train works flawlessly - only right after it is cleaned. Once it gets a little dirty, the transition from the smaller ring to the bigger ring is hit or miss (mostly miss). That is surprising for a bike that is designed for a competition in muddy environments, and most of my riding is along the Lake Michigan bike trail. Rear derailleur shifts are crisp; both loaded and unloaded. However, do not use a citrus-based cleaner on the derailleur cage - it will remove the gloss black finish on the cage. The 10-speed arrangement has one additional flaw - the SRAM 10-speed PowerLOC. While the concept is the same as SRAM's PowerLINK, the PowerLOC variant is only good for one shot. Disengage it to clean your chain and it needs to be replaced. Since a new one only costs ~ $5, it won't break the bank, but can add up over the life of the bike. I paid $1600 for this bike; a bit steep for someone with two kids in college, but my intention was to invest in something that would last me another 16 years. While the frame and fork may last that long, I see a Mavic wheel and Shimano componentry swap in my near future. I have the 2009 model, not 2007. This is a great bike. I commuted 30mi/day on a 2007 Trek 7000 Hybrid but upgraded after 3 years. It can take anything I throw at it, mountain, mud, you name it. Also the wheels can take as narrow as 23c tires. None. 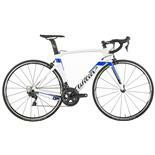 This is my first road bike period. I rode a Trek 7000 hybrid before this one. This bike is great. I am an aggressive 255lbs rider/racer. I'm new to the cyclecross community, but this has held up to the test. The SRAM Apex has been great - coming from Shimano Ultegra on the Road Bike. It's supper smooth and efficient. The 11-32 gearing on the rear is nice to have on some of the steeper climbs. Only weakness that I can think of is truely the rider. Shifting. I know how to dial things in. Power transfer - it is aluminum, so that's what you get. Variability. Initially didn't like the stack of spacers, but now I change the bar position depending on the ride. high for commute, flip the step and re-stack spacers for fast rides. Wheels. Love them. I also swap tires from the 35's to 25's or 23's for whatever I fancy. Brooks saddle, this is so amazing. Handling - changed stem to 110mm and it is much better now or maybe I am? crank. Stock 46/38 isn't great for anything. For cross racing you only need 1 ring. So I have a 42 as well. Swapped it for a SRAM 50/36 compact for my road riding, with 36 being better than a 34. Took a while to get squeal and shudder to go away - different pads, and toe-in, constant adjustment have helped. Now also have a fork brake mount. If it were easier to get a rear fender on, that would be nice. Price if it wasn't subsidized. I would look at the Giant TCX1 if I was paying retail - SRAM rival, and decent wheels. I think the new Alum Dales are for commuter's only, but older Dales also rock. 2009 XO1, 54cm. First off, the guys at Calgary Cycle held this bike for me for one month while I was waiting for replacement Ins money. Love it. Not ideal as a roadie but the rider makes the difference. I am 5'9", 190lbs (76cm trees), and this bike fly's when I hammer it. Prefer the bike with the cross tires, but is more than adequate with roadies. Have a Brooks, so my A$$ feels quite comfortable. Have trued the wheels once in 2500km. With the wide range cassette, 12/27, it takes a bit to adjust the shifting but it is dialed in now. With my current tweaking to the brakes I am more than happy and they are defintely powerful. I have thrown a rack on this thing and it was fine, but it impacts the handling which is no surprise as 15 lbs on the rear should do that. Lose the rack for long rides and she zips along. Kona Jake. Liked it - ideal for commuting. fast, handles well, fun to ride. sometimes the gears don't engage and I end up slipping a entire rotation which probably looks funny to anyone who sees. First road bike and didn't really know what cycle cross was until after I got it. I really like this bike its a lot lighter then then trek 800 I rode for the last 13 years. Very light, fast, I ride light trails and commute to work. I love the bike and haven't had any major problems. 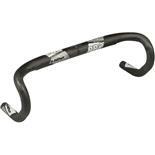 Good stiffness when cranking hard and handles well in traffic. Very responsive, whether it is accelerating or corning. Almost 4 years ... 1000's of miles, lots of great memories ... i would say this was a great investment! Like everyone else who RIDES this bike, I have noticed some shimmy in the front end, but nothing that has affected the ride. LOVE this bike! It is my 4th Trek bike, and my first CX. This bike has done everything I have asked of it. From inner city commuting to light trails ... and never had ANY major problems. This bike is a workhorse! Component choice is great, with 105, Bontrager wheels and a carbon fork. Handles well. No fender eyelets on the seatstays. On the small 47cm frame (which I ride)quite a bit of toe overlap with the front wheel. The model year is actually an '09, but the review here didn't have it listed. I use this as my winter/rain bike, and ride it primarily on the road. Good selection of components, although I put Schwalbe Marathon 28c tires and fenders on it for road. Ride quality is fine, even for aluminum. I was lucky and got the last 2007 @ a discounted price. It's still a good buy @ $1100. Decent stock set-up including mix of 105 components, gearing, and wheels. I don't like the extra set of hand brakes, plus my knee hits the brake clamp when climbing out of the saddle. The front brake squeals and the fork shakes a bit during aggressive stops off road. I suspected the headset and/or front brake might be a bit loose. I adjusted without fixing the problem, though. Excellent ride in off-road conditions - fairly quick to respond while absorbing moderately rough terrain. On the road it's surprisingly smooth and responsive. It reminds me of a mid-80's classic steel road bike with relaxed frame angles. KHS mountain bike; Cannondale R1000 road bike. 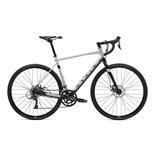 The Trek XO1 is a good mix of a road bike and mountain bike. -The tight geometry does cause wheel/foot clearance issues, as others have noted; with my size 48 shoes this is particularly a problem. I learned quickly to keep the cranks vertical when turning to avoid problems. 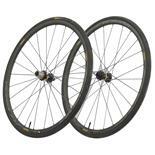 -The included Bontrager Select wheels were a little on the weak side for me, at 200+ lb. ; it still took a pretty hard, bone-rattling pothole hit to break them, though. They probably should have included something with a higher spoke count as stock on their largest size. -Like a couple of the other reviewers, I had problems with the front brake squealing and shimmying. They should check the bolts on the headset, brake arms and pads to make sure they are tight enough. Once I found the bits that had worked themselves loose, the problems went away. Now 40mph descents are no problem. -The braze-ons at the top of the seat stays (for mounting a rack) are facing inward, making it difficult to get a wrench in there to tighten them properly. I was able to get everything tight once I got a set of ball-head wrenches that I could use at a slight angle. 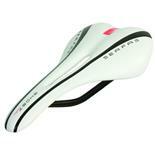 -The included saddle was was pretty basic and too small for me, but the LBS that sold it to me swapped it out for free. My XO-1 has been a faithful workhorse for my first year of commuting into DC. I've put about 6,000 commuting miles on it (25 a day) on a combination of asphalt bike trails and city streets full of potholes, construction and traffic, as well as the occasional group ride and my first century. This bike has always done what I asked. When I crashed my '06 hard, I replaced the frame with an '07 because it's worked so well for me. I roll through construction, race taxis and hop curbs in the city, then get out on the bike path and fly past the roadie wannabes - in the grass, carrying my bags. (Safely, of course!) I hope to get a chance to race it soon. 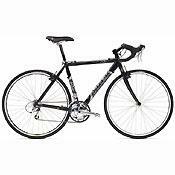 I would recommend it to anyone in my situation: loves going fast, mainly on hard surfaces, and covering moderate to long distances, but doesn't want to sacrifice robustness and maneuverability by going all the way to a road bike. None, this is my first road or cross bike.